We made heavy investments on a vast fleet of equipment – heavy as well as light vehicles and operated by a team of experienced personnel that caters to the equipment needs of our own projects as well as our clients. We have a full-fledged garage to maintain and upkeep the fleet at the best running condition to ensure that our clients mission-critical jobs get a fail-proof support from our equipment at all times. 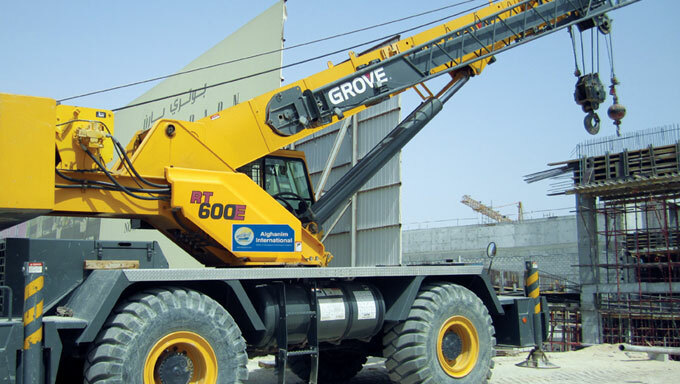 Tower cranes:Potain, Liebherr, Piener each with a 6-ton capacity to 10-ton capacity. Flat bed trailersWith 40-foot flat beds for carrying all kinds of cargo of up to 60mt. All transportation equipment is operated by professional drivers and operators Brands include Scania, Magrius and Mercedes Benz. Generators:Ranging from 35 to 400KVA prime power using 3 cylinder to 12 cylinder engines, open type and many super-silenced for use in office and Project areas. Welding machines:Diesel and Electric capacities ranging from 150 to 600 Amps welding purpose of “Stick, Tig, Mig & Automatic” welding systems Tower lights: with 10kVA, 4-pole lighting systems and elevated booms to reach heights of 15 meters. Water Tankers:With capacities ranging from 3,000 gallons for transporting potable and industrial water to projects and camps. Diesel Tankers:With capacities ranging from 3000 liters for the distribution of diesel to all equipment working in the projects around the Kuwait. For personal transportation / project use. All vehicles are fully air conditioned. All drivers are highly-experienced and totally safety trained.